Nissan is Building New York's "Taxi of Tomorrow"
As NYC’s iconic yellow cabs zoom by the Flatiron on this week, the interior of a prototype of their successor sits in a public square across the street. 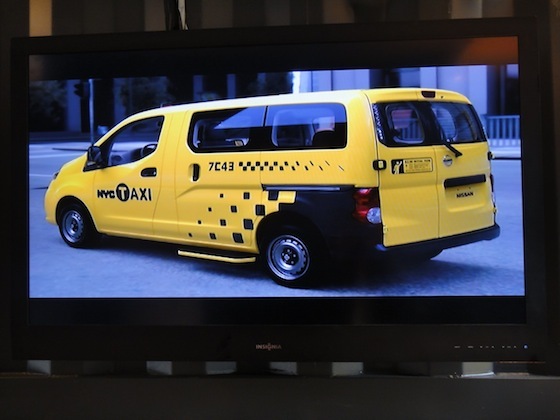 Nissan’s NV200 Taxi won the Taxi of Tomorrow competition, which was announced in May of this year. 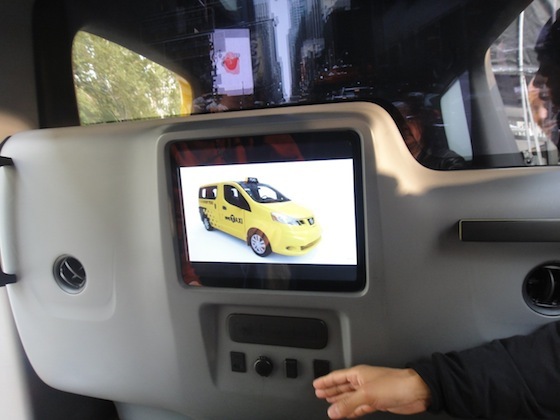 The Nissan Taxi of Tomorrow Design Expo is at Flatiron Plaza, and people can watch videos and sit in the backseat of the prototype. But what you see now isn’t exactly what you’ll get in 2013, when the fleet is expected to hit the road. While a photo on display depicts a place for women to store their purses, one doesn’t exist in the physical model. There is plenty of legroom, however, as well as outlets and USB ports for charging cell phones and iPods. Apparently, this model wasn’t the one favored by the general public, as reported by the website Curbed. That’s probably why a representative at the exhibit told me that Nissan is incorporating comments from this week’s expo into improving the final product. 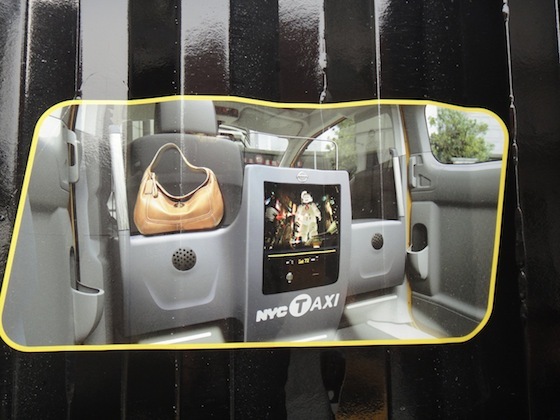 If you want to take a peek at what you’ll be hailing in a couple of years – and offer your feedback – the Nissan Taxi of Tomorrow Design Expo will be at Flatiron Plaza (Broadway & 5th at 23rd Street) from 8:00 a.m. until 6:00 p.m. Saturday, November 5 (today). The back seat looks like the back of a London Cab.